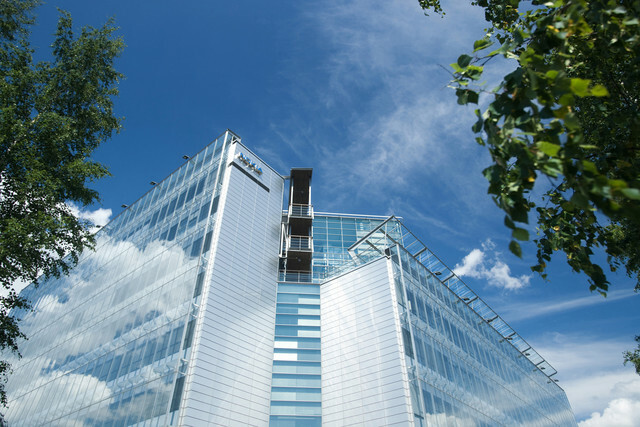 Microsoft Corp. will take over Nokia Oyj (NOK1V)’s glass-walled headquarters, one of Finland’s best-known buildings, once the software giant’s deal to buy the Finnish company’s mobile-phone business is completed. Nokia will move to a location further away from central Helsinki, to a campus where its network-equipment business is based, James Etheridge, a spokesman for the Finnish company, said today in an e-mailed statement. Microsoft gains occupancy of a landmark complex whose construction in the 1990s symbolized Nokia’s rise into Finland’s first major global corporation. 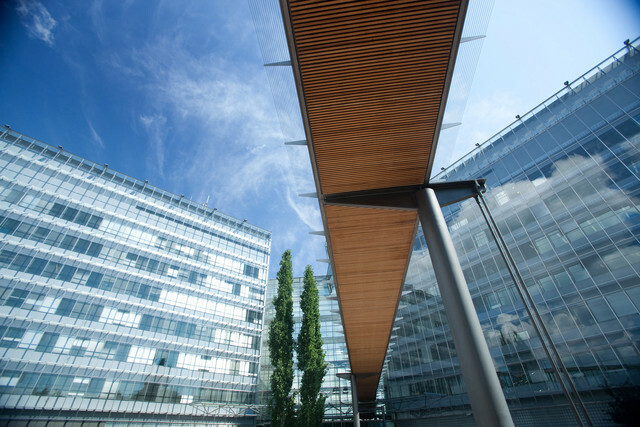 The building, just outside Helsinki in Espoo, is by the shore and offers expansive views to the Baltic Sea from its meeting rooms. It is situated on a busy highway between Finland’s two biggest cities and is seen by tens of thousands of commuters every day. The Karaportti campus, where Nokia will move, is further inland in Espoo and resembles more of a traditional industrial estate. Nokia’s shareholders agreed this week to sell its device unit to Microsoft in a 5.44 billion-euro ($7.3 billion) deal. 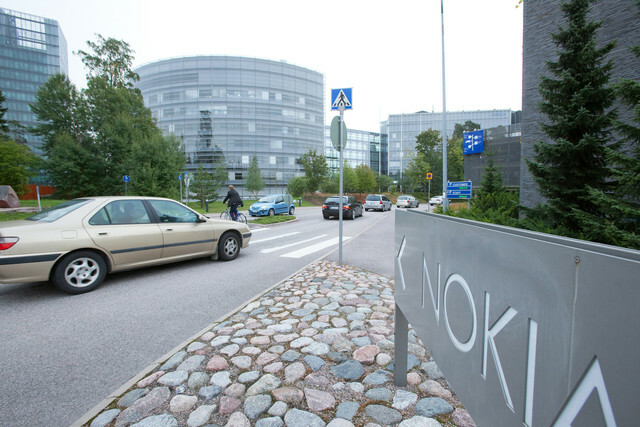 The majority of workers in the current head office, which Nokia sold last year and leased back to cut costs, work for the unit to be acquired by Microsoft. Nokia is renovating a building at the Karaportti campus for its future use, Etheridge said. Microsoft and Nokia expect to complete their deal in the first quarter. This entry was posted in Technology, World and tagged Espoo, Finland, Headquarter, HQ, Microsoft, Nokia. Bookmark the permalink.